RARE FIND in most units by LSU. 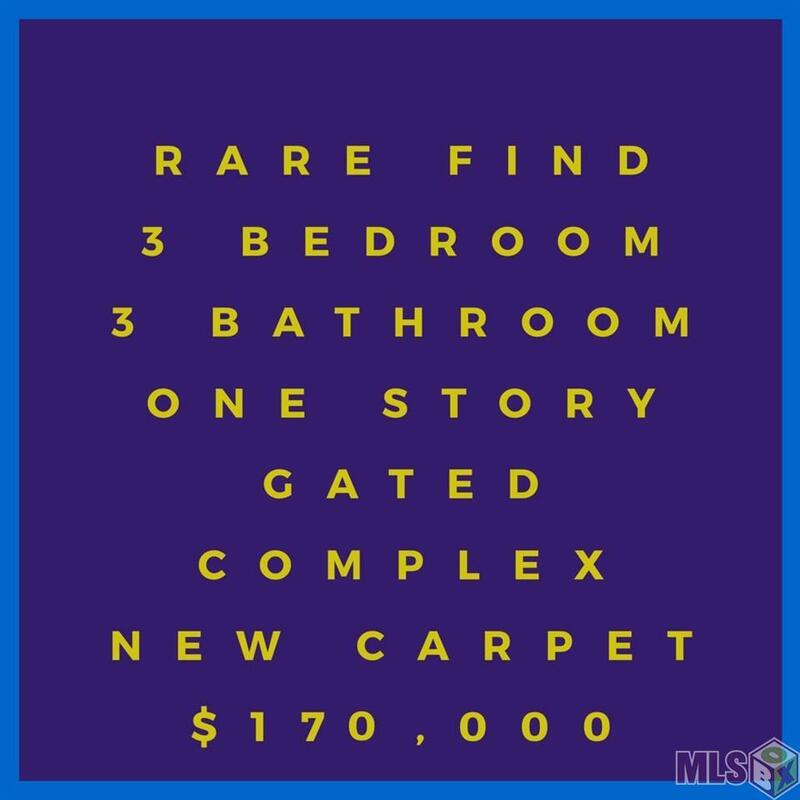 This 3 full bathroom & 3 bedroom condo with brand new carpet throughout is located on the LSU bus route within a gated community offering a community pool. 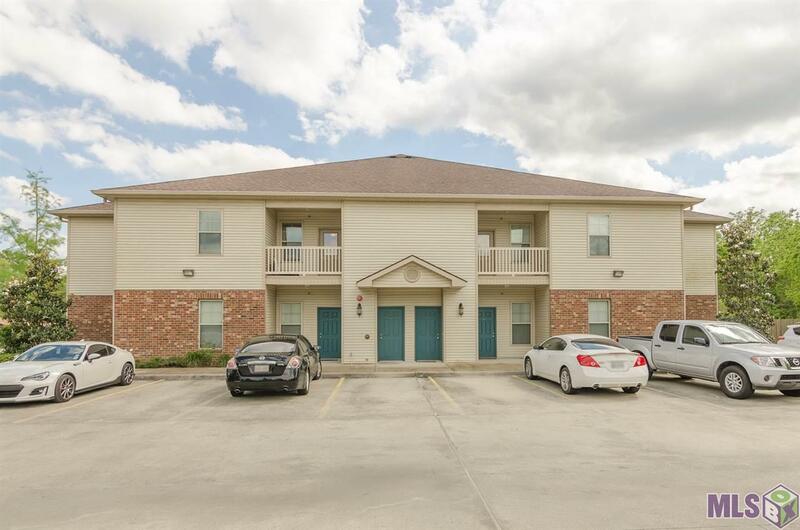 Condo has a spacious open floor plan with ceramic tile flooring in kitchen and bathrooms and carpet in living room and bedrooms. 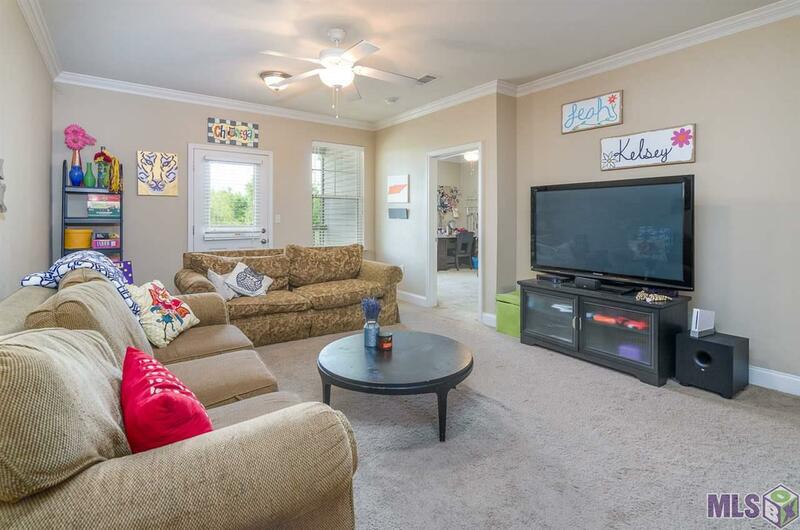 Den has 9 ceilings, ceiling fan, crown moulding, built-in for TV and the kitchen has an abundance of cabinets with slab granite counter tops. 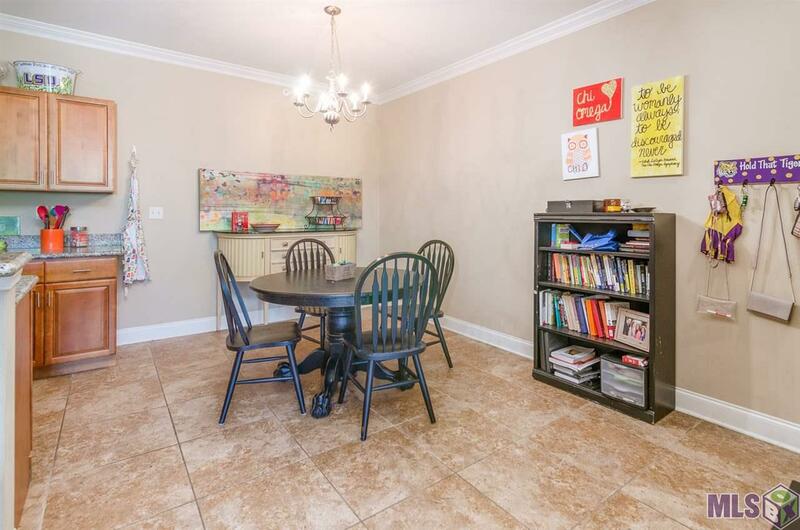 Kitchen has appliances that include: dishwasher, microwave, range, refrigerator, washer and dryer. There is also a large storage room and nice balcony plus exterior storage room. Save money on RENT - own a little piece of LSU.